On Saturday evening [Nov 21], The Berkeley Institute Class of ’63 held the premiere showing of its film Respice Finem More..
On Saturday evening [Nov 21], The Berkeley Institute Class of ’63 held the premiere showing of its film Respice Finem: The History of the Berkeley Institute which was commissioned as part of the 50th anniversary of their class. The film project was chosen to make a positive and lasting contribution to the school, and the feature length film was made by well-known local filmmakers Lucinda Spurling [Afflare Films], Karli Powell and Kara Smith. Generous financial support was received from the Berkeley Educational Society, Cultural Legacy Fund, Bermuda Community Foundation, Bank of Bermuda Foundation, Berkeley Board of Governors, Bermuda Arts Council, The Berkeley Institute, individual Berkeleyites and from the Berkeley Class of ’63 itself. “The filmmakers conducted over 35 interviews as well as extensive filming of the school plant, its current students and teachers,” the Class of ’63 Committee said, with the Committee consisting of Eloise Bell, Philip Butterfield, Robert Horton, Conchita Ming, Janette Musson, Muriel Roach, and Gerald Simons. “Four hours of documentation and a 1000-page script required compressing into an 80-90 minute production, The finished product, Respice Finem: The History of The Berkeley Institute, shows the early progress of blacks in education in Bermuda and how the mission of the school’s Founding Fathers, ‘to establish a school for the better education of the people’, came to fruition upon the opening of The Berkeley Institute on 6th September, 1897. 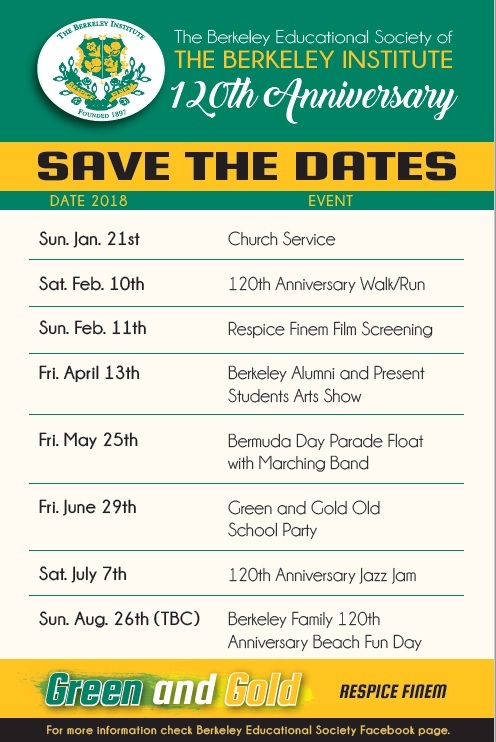 “Berkeley’s Founding Fathers spent eighteen years and overcame numerous obstacles in raising the funds and garnering the support required for the opening of the school which was established to provide first class education to Bermudians, regardless of colour. “The Berkeley Institute was the Island’s first multi-racial school upon its opening at Samaritan’s Hall [now demolished] on Court Street in the City of Hamilton. Five years later, the school moved from its Court Street location to St. John’s Road where it remained until 2006 when it moved to its current magnificent facility further up the hill on Berkeley Road. “The Founders’ hopes and dreams have been realized in myriad ways. Through the years, the school became synonymous with the highest standards of education available in Bermuda. It has produced many political, religious, educational and business leaders. “In fact, Berkeleyites have become leaders and decision-makers in just about every facet of Bermuda life. 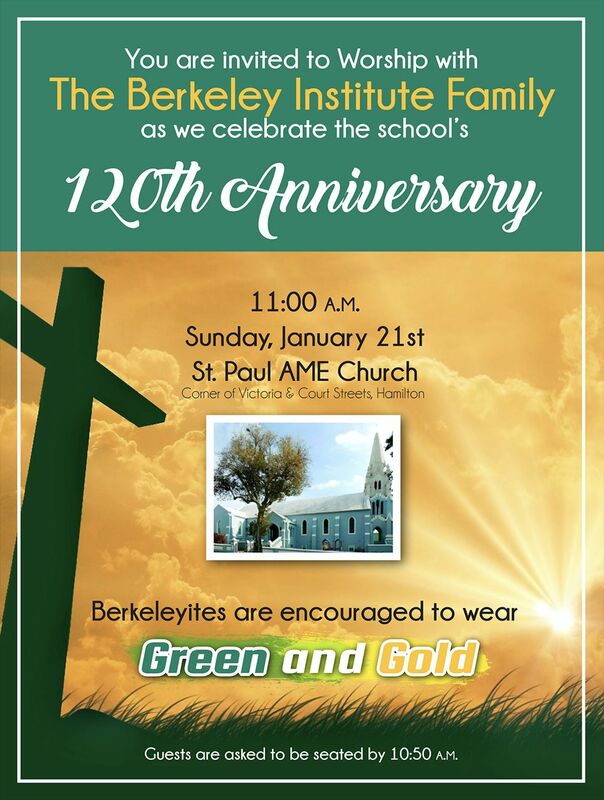 Many of the current students of The Berkeley Institute are the children, grandchildren, nieces and nephews of former Berkeley students. “Attendees at Saturday’s premiere included sponsors of the film, persons who were interviewed in the film, members of the Berkeley Educational Society and the Berkeley Board of Governors, the Class of ’63 and current and former members of the school’s teaching and administrative staff. “The film, which will be shown publicly in the near future, is not just a story about the founding of a school in the 19th century. It is also a story about the development of education in Bermuda within an ever changing social, political and economic environment. The film has an over-riding theme of cultural legacy. “The Berkeley Class of ’63 was committed to ensuring that the film would be a comprehensive account of the courage and perseverance of the Founders in establishing the school and the adaptability and creativity of successive principals and staffs in responding to changing times, thus ensuring that the school made and continues to make a tremendous impact on Bermuda.